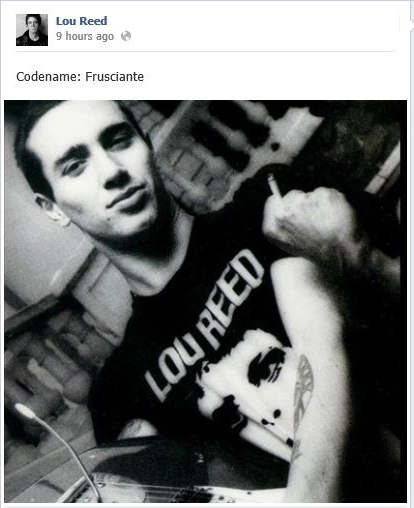 John Frusciante News: Lou Reed in a secret project with John Frusciante? Lou Reed in a secret project with John Frusciante? Lou Reed have posted on his twitter a mysterious message: "Codename: Frusciante" with a picture showing John with his face on the front. It can be a "s3cret" project or it might be just a message of admiration, anyway I hope to see any news from Frusciante.